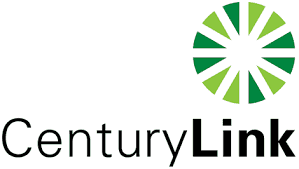 Centurylink Inc (NYSE:CTL) is renowned for transporting over 10,000 sporting events every year and has connected more than 200 US sports events through various fiber broadcasting network. Through the extensive and advanced IT deployments in various avenues within the US, the company has delivered a winning sports day experience to its clients. As the broadcasting delivery systems continue evolving, the CenturytLink finds it critical to develop its network and adapts to the changing needs and requirements of its customers. Sporting events are no longer just about watching the screen or the game. Currently, due to innovations especially in the network technology, fans are searching for venues that they can get engaged with the sporting events on an experiential level whether it’s at home, in the stadium, or on the Smartphone devices. CenturyLinks has the most improved network infrastructure which includes the integrated IP network that allows about 1,400 Wi-Fi access points, which can supply connectivity for over 70,000 mobiles phones at the same time. The company’s network can also deploy various services including the cloud-based technology, custom digital media to specific display which gives the sporting venue an easy mechanism to communicate with the fans. Furthermore, the network provides the use of analytics to collect information that include the usage, bandwidth consumption and other that can be customised to increase the fan experience. Most of the professional football fans have never attended a game session in person but they highly depend on the quality of the broadcasting network to view their favourite games. In 2016, more than 46.7 million were using Internet and TV to experience their sporting games and that number is estimated to increase to over 54.2 million by 2018. Hence, it’s essential that each party in the broadcasting ecosystem strives to deliver high-quality experience that meets and exceed the viewers’ expectations.